Fewer Tots Go To ER Since Baby Cold Meds Pulled From Market : Shots - Health News Less than half of the country's babies and toddlers are going to the ER for cold and cough medicine related problems now. But older kids ER visits for these problems remain unchanged. 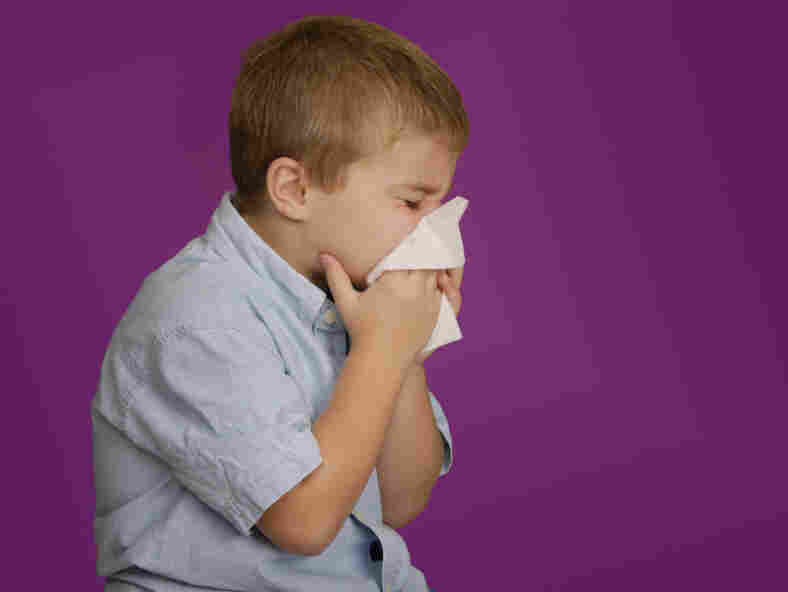 Emergency room visits for kids under the age of 2 for cold and cough med-related problems have dropped by more than half since drugmakers took those treatments off the shelves a couple years ago. "It's impressive and hopeful," Raymond Pitetti of Children's Hospital of Pittsburgh tells USA Today. "Parents are much more aware of the issue and becoming more savvy." But there's more to do. Despite this drop for tots, older kids' ER visits remain unchanged, the authors of the study, published today in the journal Pediatrics say. Every year, nearly 3,000 kids under 2 get taken to the ER for overdoses or other problems related to cough and cold medicine. To combat this, the FDA recommended parents stop giving babies cold medicines because they sometimes can cause rashes, hyperactivity, or behavior and breathing difficulties. There's a long history here. Then the over-the-counter-drug industry voluntarily took those products off the market, and voila - ER visits were cut in half. The industry has since made new label changes warning parents not to give cold medicines to kids under 4. But the problem of kids and these meds is far from solved. The number of toddlers to teenagers sent to the ER after taking the meds remained unchanged, the study says. Two-thirds of those visits were chalked up to accidental or "unsupervised" slurping of the cough syrup that got left on the counter. However, as we've reported before, parents have lots of problems figuring out proper dosing, too. The FDA's advice? Read the directions, use the dosing guide on the package for your child's age and size, talk to the doctor, and remember that cold medicine doesn't cure a cold - it only helps relieve symptoms. And grandma's advice might worth remembering too - bring the babies in the shower with you for good old-fashioned steam relief from a stuffy nose.